Bedroom designing can be fun when it comes to a lesbian couple. The room should be designed in such a way that gives you and your partner a romantic feeling. As we know, the room is designed for girls, so the room should have pink themes. The furniture of the room should be settled in such a way that it should not take much space. If you have small rooms, avoid large pieces of decorative items. Always buy furniture according to the size of your room. For a larger room, large decorative items can be placed and they won’t even look like they are taking excessive space. You can place several items in a large room which adds variety to your room. This includes a bed frame with a large headboard, dresser with mirror as well as a four poster bed. You can also decorate your room by placing drawers in your room and they don’t even consume much space. Dressing tables with attached drawers are also available in the market which makes your room look more beautiful. Night stands gives your room a very sophisticated and prosperous look. There is variety of night stands with different decors available in the market. Night stands are placed beside the bed. You can also place a small sofa in your room which will provide extra comfort to the couple. Colours should also be kept in mind while decorating your bedroom. For lesbian couples, white with a combination of pink colour looks best and gives their room a more graceful look. White coloured walls with pink colour curtains adds spice to your room. Some of the popular colour in this regard are mahogany, purple with a combination of pink and accents of black. 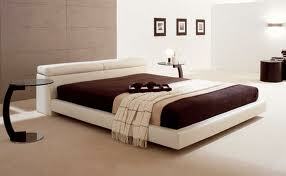 You can also place a beautiful scenery over the bed which makes the room look more prosperous and sophisticated as well. A walk- in closest also makes your room more attractive. These walk-in closets look good in a big room. Always be careful while selecting curtains. Curtains should always match with the bed sheets of the room. You can also make your room look more decorative by adding stylish and trendy accessories. Accessories should include hand-made lamps as well as decorative pieces of artwork. If you or your partner is having back problem then beds with memory foam works best. A nice wall mirror with a coat stand works best. This will also helps you in hanging your towel, jackets etc. While buying furniture always take few things in mind, including the budget, cost, design and durability in mind. The best thing for you to do is to take the help of the internet in order to justify the design of the room. Another option is to visit the nearest Furniture Store. Here you will find a plethora of furniture and hosts of design ideas that would make your bedroom look even better. Therefore, don’t waste time and rush to the your trusted furniture store right now and find a style for yourself.